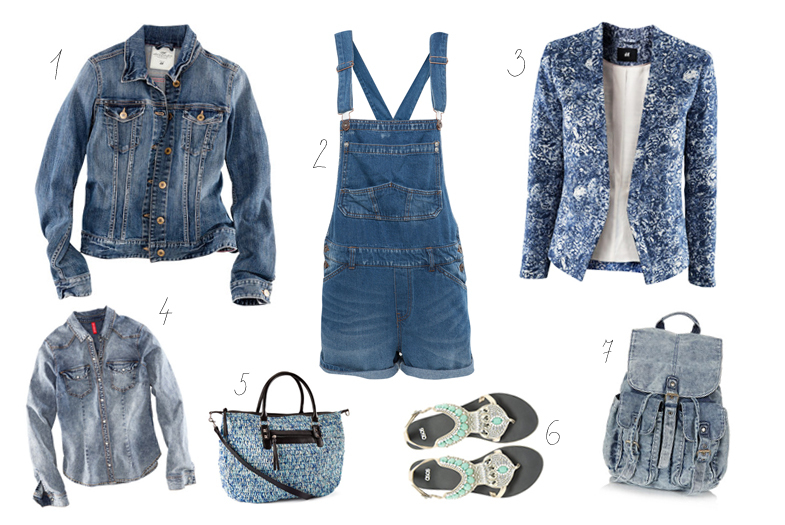 3 // I think I'm obsessed with denim! How could this happen? I used to hate it for a while, especially denim jackets and now I own three and feel like it's not enough. Three! I have also started coveting denim dungaree shorts and I may have just ordered these pretty things from Pull&Bear. I'm really really hoping they will fit. I tried on some dungarees in a local shop and I was surprised to see they didn't look too bad on me. However they weren't exactly what I wanted so I had to look online. In the end I decided to go for black denim dungarees but could only find plain polyester ones. Then I stumbled upon those you see in the picture and fell in love with the classic denim colour and the pocket design. As Pull&Bear only ships to England, I'll have to wait until I am back at the beginning of July for graduation so three more weeks before I can try them on! Luckily they have a 28 day return policy, I checked, just in case. I am still thinking about ordering these dark blue dungarees off ebay, though. They look black to me. And, well, because they are not too expensive I could always dye them black. 6 // I've been looking for embellished sandals for the summer for a while. These Asos ones are ever so pretty but a bit over the budget, unfortunately. 7 // Denim backpack, at last! Isn't it cute? I feel like for a backpack, £30 is not too bad. I'll probably wait and hope it goes down in sale. No one buy it, okay? Okay?